Credit cards, store cards and overdrafts - that is how almost half of Brits plan to pay for Christmas this year. In the Money Advice Service annual festive spending survey, 46 % of respondents said they'd be using borrowed money to pay the bills this year. The total Christmas bills looks like it'll be more than £2bn bigger than last year too, coming to a total of £26bn - this adds up to an average seasonal spend of £530 per person. But why do we overspend at Christmas? Well, 37% of the people surveyed admitted they felt under pressure to put on a special day for their family, with more than a quarter (26%) confessing they spend more than they can afford. What can you do to ensure that you keep your finances in order for the festive season? Read these five tips to make sure you don't spend more than you can afford. Across the UK we spent nearly £2.4bn on food, drink or presents last year that eventually went to waste, because they were unused, unwanted or unneeded. This is an average spend of £28 per person on food and drink alone. It is worth keeping an eye out for special offers on food in the run up to Christmas. If you plan ahead, you can also freeze your food to space out your spend. The research revealed 1.4 million UK adults will rely on payday loans to pay for Christmas this year. Although they can seem like an easy option, payday loans can quickly spiral if you don't pay them back on time, so it is worth thinking about the alternatives or getting free debt advice if you are feeling stuck. Almost a quarter of people do not plan ahead when it comes to Christmas spending, although for many it is one of the most expensive times of the year. Using a budget planner such as Money Dashboard is an easy way to help you set a budget and stick to it. Instead of buying presents for the whole of your extended family, you could suggest to the adults that you do a Secret Santa instead. This way, if you feel cash-strapped, you can set a budget for gifts for adults and the children can still have their mountains of presents. Asking your family for a detailed Christmas wish list means you can plan ahead to get the gifts they want and avoid buying unwanted gifts. 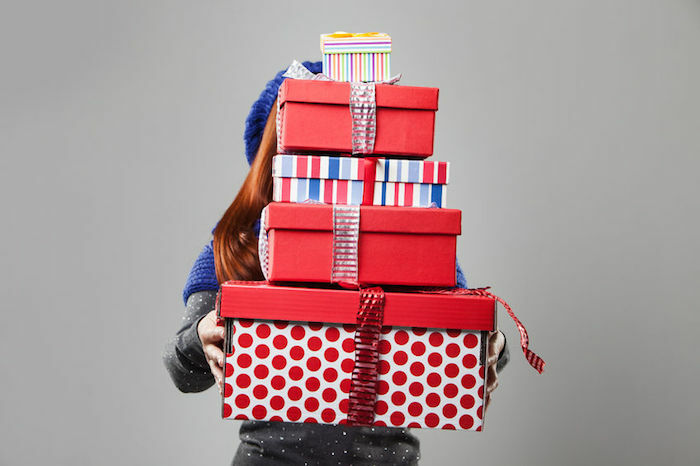 Last year, 37% of people said they received presents that they didn't use, with an average value of £54. For more tips, take a look at Money Advice Service's 12 tips of Christmas.